Increasing surface temperatures, Arctic sea-ice loss, and other evidence of anthropogenic global warming (AGW) are acknowledged by every major scientific organization in the world. However, there is a wide gap between this broad scientific consensus and public opinion. Internet blogs have strongly contributed to this consensus gap by fomenting misunderstandings of AGW causes and consequences. Polar bears (Ursus maritimus) have become a “poster species” for AGW, making them a target of those denying AGW evidence. Here, focusing on Arctic sea ice and polar bears, we show that blogs that deny or downplay AGW disregard the overwhelming scientific evidence of Arctic sea-ice loss and polar bear vulnerability. By denying the impacts of AGW on polar bears, bloggers aim to cast doubt on other established ecological consequences of AGW, aggravating the consensus gap. To counter misinformation and reduce this gap, scientists should directly engage the public in the media and blogosphere. In sum, Harvey et al. (2017) play a statistical game of smoke and mirrors. They validate their data, collected by an unclear process, by comparing it to data of unknown provenance. They artificially inflate the dimensionality of their data only to reduce that dimensionality using a principal component analysis. They pretend their results are two dimensional where there is only one dimension. They suggest that there are many nuanced positions where there are only a few stark ones – at least, in their data. On a topic as complex as this, there are of course many nuanced positions; the jitter applied conceals the poor quality of Harvey’s data. They show that there is disagreement on the vulnerability of polar bears to climate change, but offer no new evidence who is right or wrong – apart from a fallacious argument from authority, with a “majority view” taken from an unrepresentative sample. Once the substandard statistical application to poor data is removed, what remains is a not-so-veiled attempt at a colleague’s reputation. 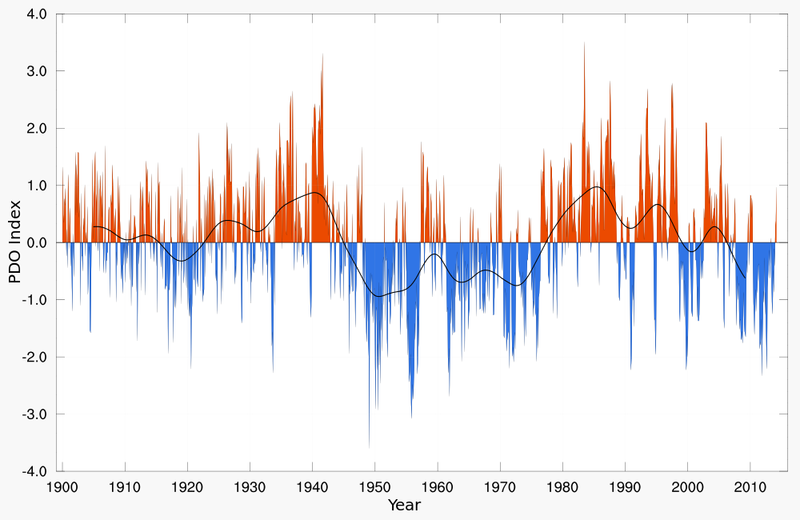 Die Sommertemperaturen in den USA nahmen einen unerwarteten Verlauf in den letzten 90 Jahren. In den 1930ern waren die Sommer ziemlich heiß, zum Teil sogar heißer als heute (Abb. 1). Dazwischen sackten die Temperaturen jahrzehntelang ab. 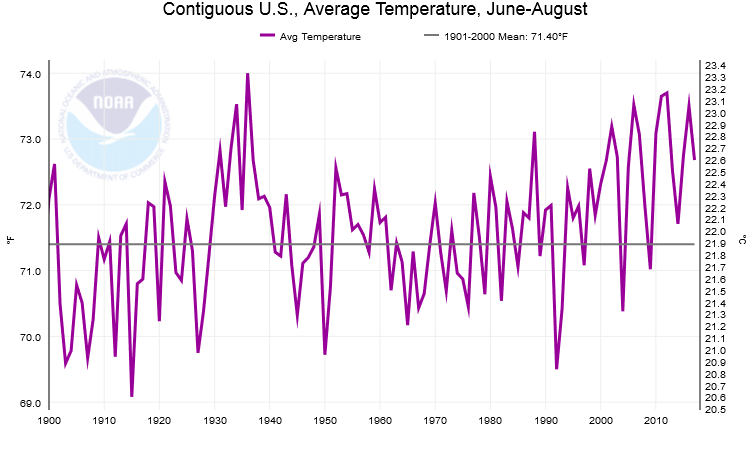 Abbildung 1: Temperaturentwicklung in den USA während der Sommermonate. Quelle: NOAA. Die Ähnlichkeit im Verlauf mit dem PDO-Ozeanzyklus ist frappierend (Abb. 2). Both land-use changes and greenhouse gas (GHG) emissions have significantly modified regional climate over the last century. In the central United States, for example, observational data indicate that rainfall increased, surface air temperature decreased, and surface humidity increased during the summer over the course of the 20th century concurrently with increases in both agricultural production and global GHG emissions. However, the relative contributions of each of these forcings to the observed regional changes remain unclear. Results of both regional climate model simulations and observational analyses suggest that much of the observed rainfall increase – as well as the decrease in temperature and increase in humidity – is attributable to agricultural intensification in the central United States, with natural variability and GHG emissions playing secondary roles. Thus, we conclude that 20th-century land-use changes contributed more to forcing observed regional climate change during the summer in the central United States than increasing GHG emissions.